Found 8 blog entries for December 2013. Lake Michigan's Gold Coast as Top Destination. Tuesday, December 31st, 2013 at 10:16am. According to Lonely Planet, Grand Rapids/Lake Michigan Gold Coast is the number one travel destination in the US for 2014. I plan to share this article with clients moving to the area and thought you might want to do the same. Friday, December 27th, 2013 at 11:12am. Luke Bouman of Holland, Michigan, was selected as a "30 under 30" honoree by REALTOR Magazine for 2013 and made the cover of the magazine. 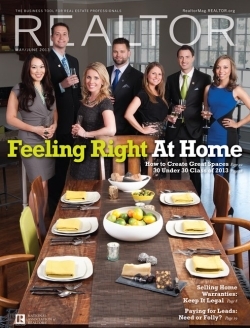 Each year, REALTOR® Magazine features 30 rising young stars in the real estate industry. Candidates are successful agents in real estate that have demonstrated skill, success, creativity, and leadership in their careers. Wednesday, December 18th, 2013 at 2:44pm. Wednesday, December 18th, 2013 at 10:45am. Wednesday, December 18th, 2013 at 10:29am. To view all Lake Michigan homes in West Olive, visit the Lake Michigan Real Estate West Olive Michigan Page. Wednesday, December 18th, 2013 at 10:19am. Wednesday, December 11th, 2013 at 9:28am. Monday, December 9th, 2013 at 3:02pm.